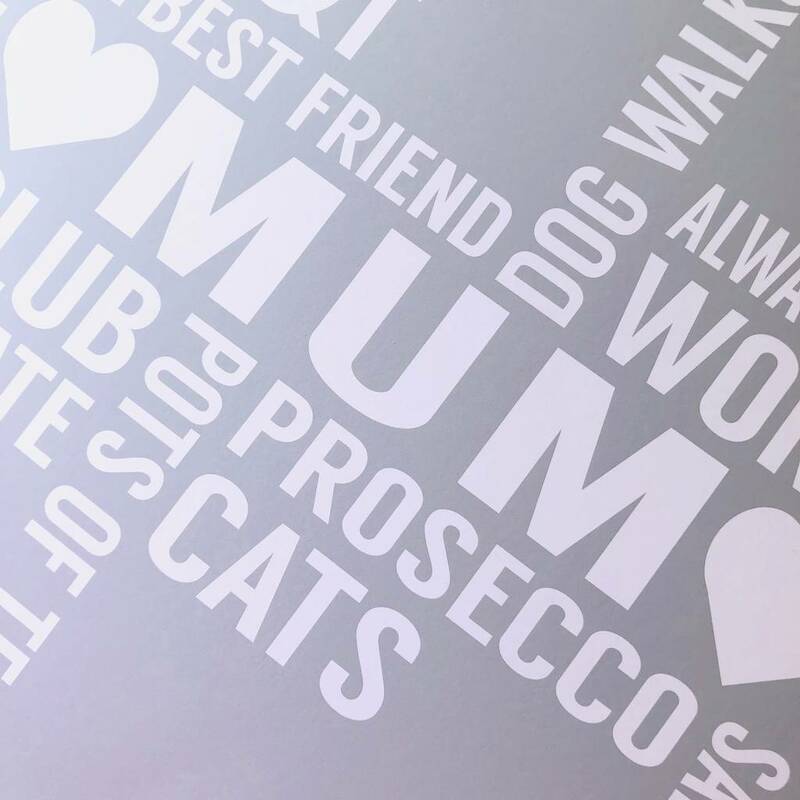 A Personalised Word Cloud Print, proudly made in Great Britain, by British designers Momo+Boo. 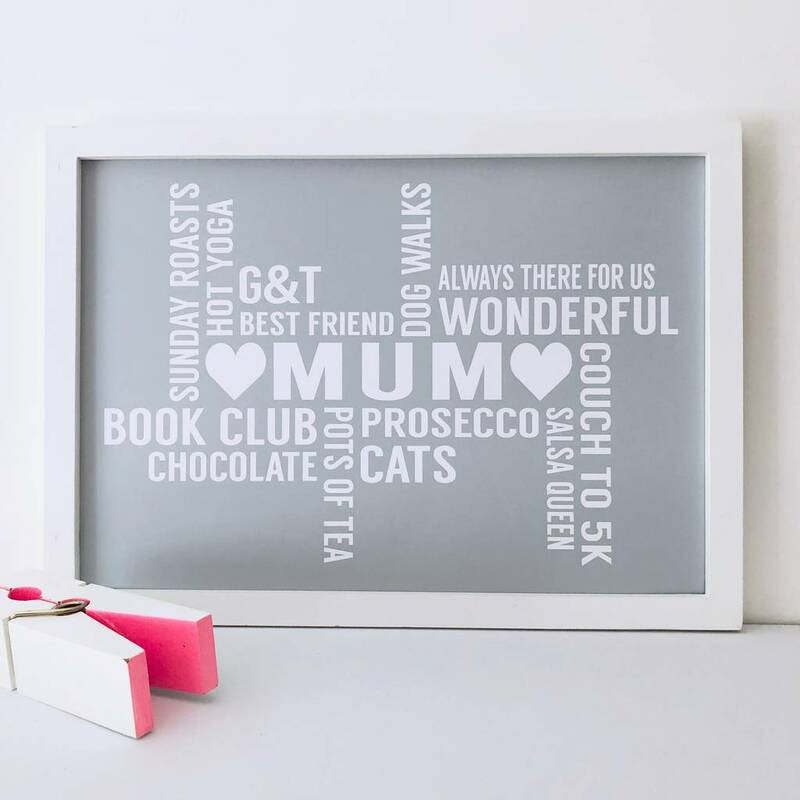 Please choose between A3 or A4 for the print size, pick a colour and pop your personalised text in the boxes provided. 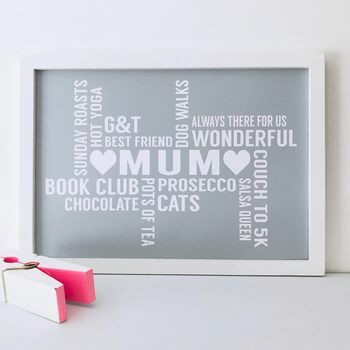 NB The print is supplied UNFRAMED but is A3 or A4 size (depending on your choice) so will fit many "off the shelf" frames. Printed on Specialist Bright White Fine Art Luxury Paper.